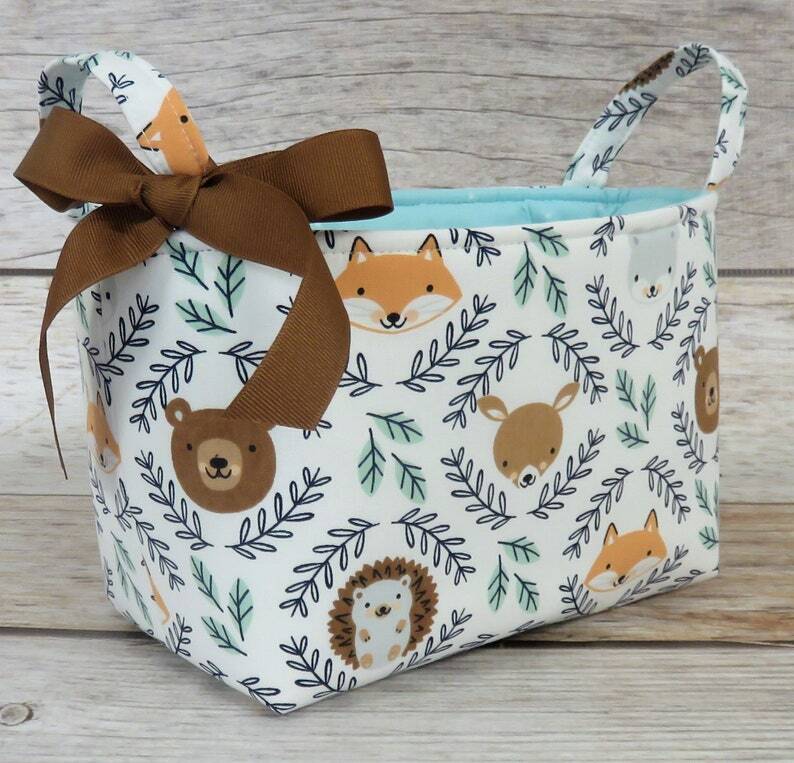 ● Woodland Baby Animals - Bear Deer Fox with Green Leaves Fabric for the outside. ● White Mini Dots on Green/ Blue cotton fabric for the inside/lining. Beautifully made and perfect for my daughters nursery.